Yes, you read that title correctly – Halo 5: Guardians is supposedly going to have a colossally huge campaign mode. Fifteen hours or more doesn’t sound like a particularly large amount of time when you consider that games like Fallout 4 are going to apparently have over 400 hours worth of content, but for a first-person shooter, 15 is a very large number indeed. According to a hands-on feature over at GamesRadar, Halo 5: Guardians’ campaign will be twice as long as Halo 4‘s. 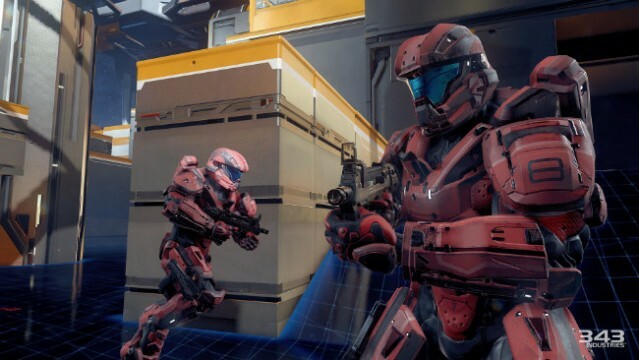 The report continues to add that 343 Industries originally envisioned the game’s story mode to stretch as far as being three or four times the size of the last instalment’s efforts, but decided to scale it back. Whether the claim turns out to be true or not won’t be answered definitively until Halo 5 becomes available to the public on October 27th, but if it doesn’t, it wouldn’t be the first time that a developer has overestimated the required time for completion. Regardless of how small or large the campaign mode turns out to be though, Halo 5: Guardians already seems to have a humongous amount of content. Aside from the single player mode, there’s a whole raft of multiplayer modes coming our way, including Warzone – a game type that will feature the biggest arenas of the series to date.